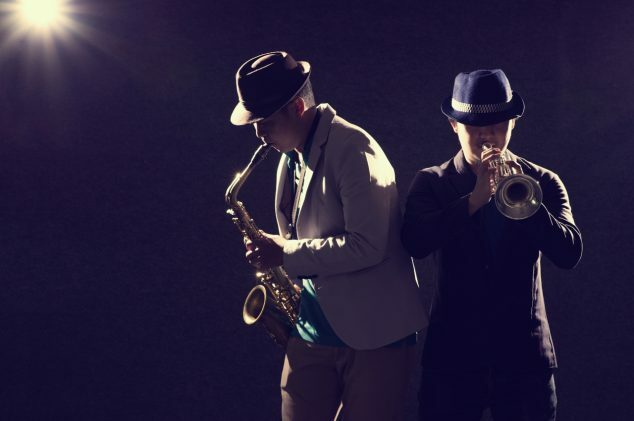 Offering a subtle soundtrack of jazz, soul or swing, the Silk Street Jazz Two are the perfect swing band line up choice for a low-key or intimate event. Furthermore, you mix and match too. You choose the combination of musicians you require. For example, you can opt for sax and guitar, sax and piano, or sax and double bass. The Jazz Two are ideal for a reception, product launch or party. Meanwhile, the Jazz Three are perfect for ambient and sophisticated background music. Just imagine smooth sax sounds blending with double bass. Add guitar or piano into the mix and it’s not hard to see why the trio is a particularly popular option. Playing out with well-known blues and jazz standards, the 4-piece ensemble are one of the most popular acts in the Silk Street portfolio. As swing band lineups go, this chic quartet provide perfect chill-out sounds. Of course, if you want to evoke the sound of the big band era, the 5-piece group is what you need. What’s more, if versatility is a key consideration for you in choosing swing band lineups, Classics from the American songbooks, jazz standards and ballads are what you can expect. Think ‘Mack The Knife’ and ‘Fly Me To The Moon’. Think packed dancefloor and happy guests! No two weddings, corporate events or parties are ever the same. That’s why, we offer even more opportunity to tailor your booking so that is exactly what you need and desire. Therefore, we also have a range of soloist musicians available too. Firstly, why not hire a vocalist to front the band? Our male vocalist, ‘The Blue Doctor’ is one of the country’s finest. Modern pop to blues and jazz, the Doctor has it all. The result? A packed dance floor. Our solo guitarist is the perfect addition to all swing band lineups. What do you get? Classics, cool jazz, latin, and contemporary chart hits – all performed by a highly trained and consummate professional. Our cocktail pianist will add another dimension to proceedings. The solo pianist has a versatile and extensive repertoire. The pianist option complements any occasion with aplomb. Last but not least is our solo saxophonist. Smooth, sophisticated and seductive. Furthermore, with the added advantage of being totally mobile. Able to wander around – inside and out – our solo saxophonist will serenade your guests and create a fantastic atmosphere at any event. Check out the lineups section of the Silk Street Swing site to find out more and to listen to sound clips of all the lineup options and soloists. Get in touch if you would like more information or would like to discuss other outstanding entertainment for an event you are planning.